In Missouri, you may initiate the divorce process by filing a petition with the court. The petition will include information about the marriage, grounds for divorce and requested terms of the divorce, such as property division and child custody. After you submit the petition, the court will issue a summons, which is a legal document that lets your spouse know he must respond to the petition. You must serve both the petition and summons on your spouse, meaning it must be delivered by the sheriff or an adult other than yourself. If you cannot find your spouse, you may serve him by publishing notice of your petition in a local newspaper as required by the court. After your spouse receives the summons and petition, he has 30 days to answer, responding to all of the allegations and requests made in the petition. However, if your spouse fails to file his answer in time, the court may grant a default judgment for divorce. With a default judgment, it is assumed your spouse agrees to the requests made in the petition. The court will hold a default and inquiry hearing where the court will review the petition, and if the unresponsive spouse does not show up, the court will finalize the divorce according to the terms requested. In some cases, a spouse may ask the court to "set aside" the default judgment, meaning the judgment is canceled and the spouse will have an opportunity to respond to allegations in the petition. However, the court will only set aside the judgment if the request is made within a reasonable time and a satisfactory reason for failing to respond to the original petition is given. While it is up to the discretion of the court to determine if the spouse had a good reason, Missouri courts have set aside default judgments when a spouse did not properly serve the petition or misled the spouse into believing the divorce was already settled. 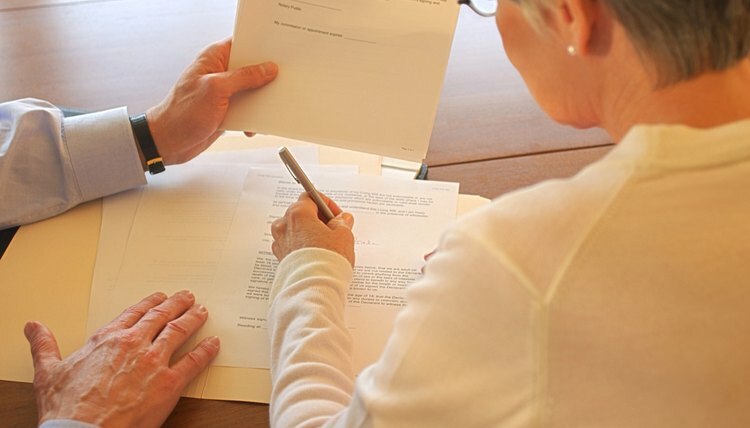 While a spouse can ask the court to set aside a default judgment if he did not receive the divorce paperwork, exceptions apply if service was accomplished by publication. If you cannot find your spouse and must serve him by publication, your spouse will have 45 days to respond. If after 45 days your spouse has not responded, you may ask the court for a default judgment. Because your spouse was not personally served, you may only receive a limited default judgment, generally limited to dissolving the marriage and awarding child custody. You may not receive child or spousal support unless you find your spouse and personally serve the petition.